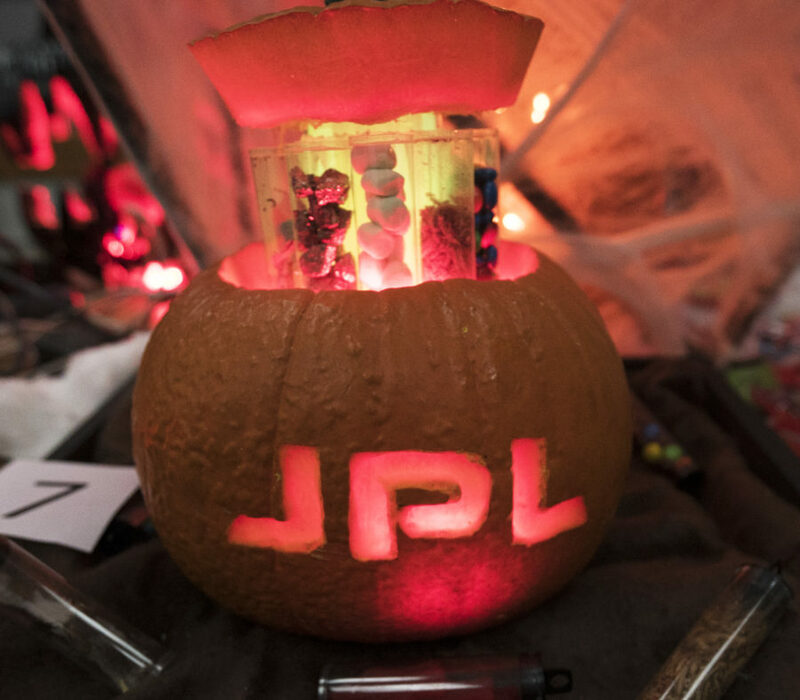 If you’re still looking for some pumpkin carving inspiration, look no further than the NASA Jet Propulsion Laboratory’s out-of-this-world Halloween creations for their annual pumpkin carving contest. According to Wired, contest participants had only an hour to create their intricate jack-o’-lanterns, but that time limit didn’t stop the team from producing some frighteningly good Halloween pumpkin art. The high-tech pumpkin masterpieces included an otherworldly space telescope, Giant Meteor 2016 that is about to crash into Donald Trumpkin and Hillary Clintkin, a Ninja Starshade pumpkin, Martian Sample Return Mission (complete with a spinning cow) and even a Mars Copter. Videos from the pumpkin carving contest can also be viewed on the NASA Jet Propulsion Laboratory‘s Flickr. Which pumpkin carving design is your favorite? Sound off in the comments section below! This article was written by Erica Abbott from Business2Community and was legally licensed through the NewsCred publisher network.